I am developing an obsession with tacos. A few weekends ago my husband and I spent a VERY long afternoon at Mayfest, an art and sports fair, where I was preforming with my belly dance class. Did I say it was a long day? By the time I was finished I was hot, dusty, blistered, thirsty, and absolutely starving! So, my husband and I stopped at a Fort Worth taco shop named Yucatan Taco Stand. On the menu, which had me tempted to try one of everything, there was one dish that caught my particular attention. It was the Garlic Shredded Beef Tacos. 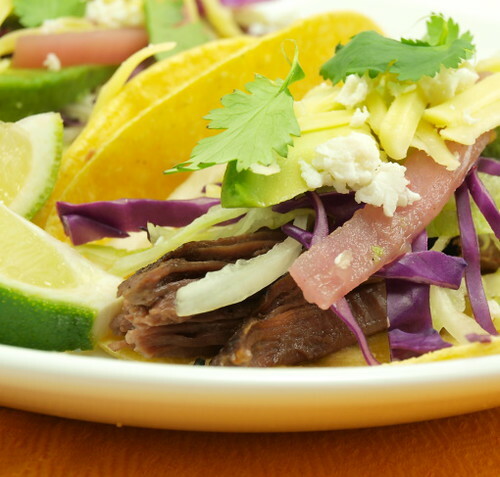 Tender beef, loads of fresh toppings, warm corn tortillas … there was nothing about the description I did not like! One bite was enough for me to know I made the right call. Two bites and I knew I was headed for trouble. You see, I am a Dallas girl. I work in Dallas, I play in Dallas. I do not often make it out Fort Worth way. So, as I contemplated the last savory bites of taco bliss I formulated a plan. I would attempt to create her own delicious beef tacos at home using only her cooking know-how rather than make frequent trips to the far side of Fort Worth. What I ended up with are tender, juicy, flavorful, and highly addictive tacos. 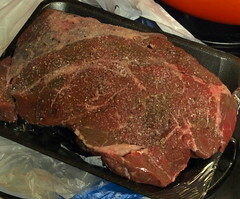 The beef, which I brown prior to putting in the slow cooker (and please, do not skip this step! ), is really the star here, but to take it over the top I made some quick pickled onions. 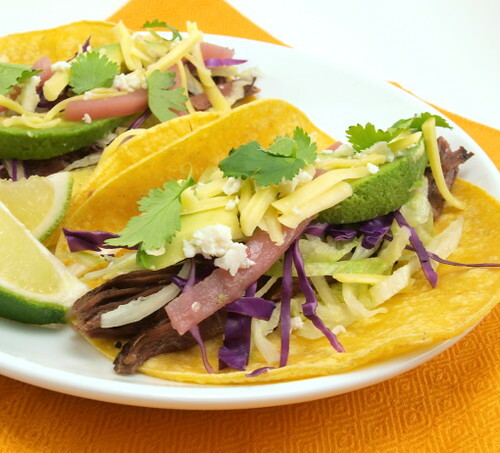 The tang and slight sweetness from the onion really cuts the richness of the beef and gives the tacos a refreshing finish. 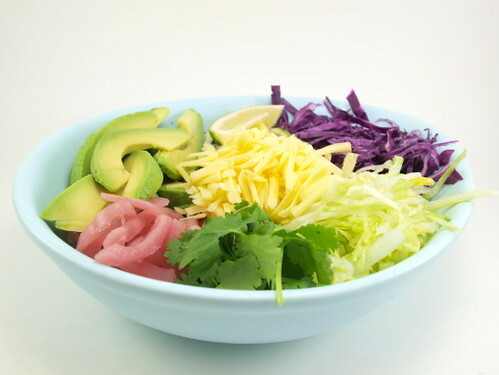 I used toppings like the ones from the taco stand, with the addition of some fresh sliced avocado, but you can use whatever you prefer. 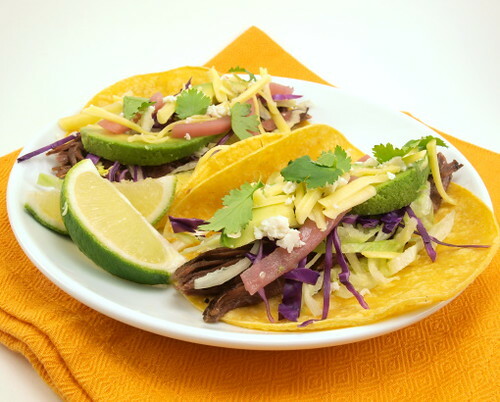 This is a great party dish because people can create their own taco concoctions. Served with an icy cold beer, there is nothing better! Begin by preparing the onions 24 hours in advance. In a large pot combine all the ingredients expect the onion and bring to a boil. Add the onion and cook for one minute. Turn off the heat allow to cool slightly before pouring into a clean jar. Chill to room temperature then seal and refrigerate. Season the meat generously with salt and pepper. 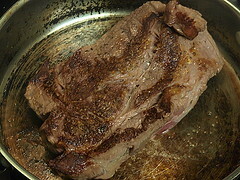 Heat a large skillet over high heat then add the oil. 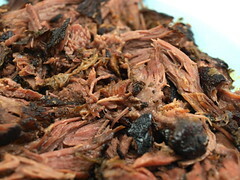 When it just begins to smoke add the beef and brown well on all sides. 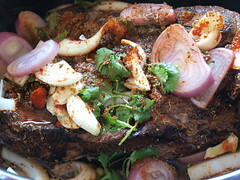 Place the beef with the remaining ingredients into the slow cooker. Cook on low for 8 hours. 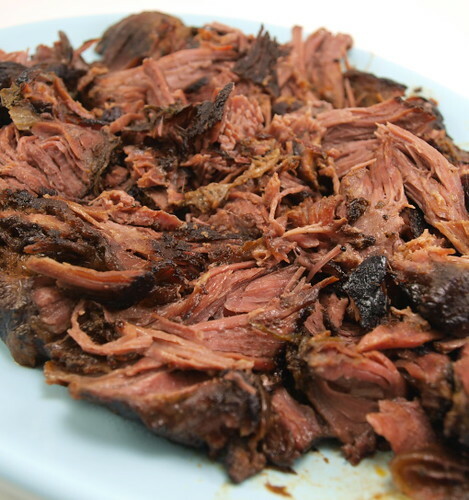 Carefully remove the meat form the slow cooker and shred with two forks. Pour over a little of the cooking liquid and toss to coat. Prepare your condiments on a platter while you warm your tortillas either in the microwave wrapped in a damp cloth, or wrapped int foil in the oven, until steamy. 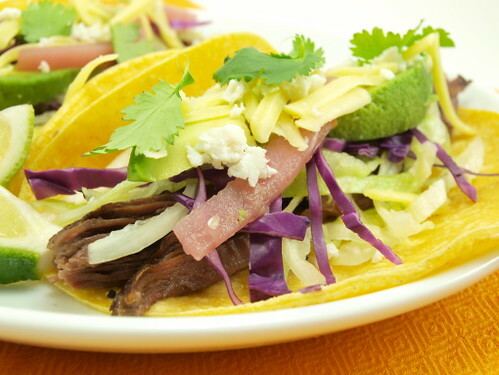 Build your tacos as desired.